TEC’s wireless site survey determines the best design for your wireless data and voice network. We provide a written design document with a product bill of materials and network maps. 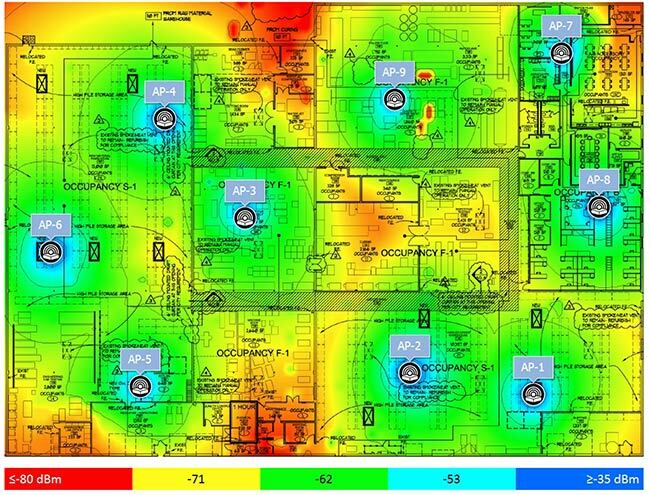 Using actual Wi-Fi products, we provide heat maps to identify coverage and performance levels in intricate and accurate detail. When a new Wi-Fi network is necessary, we can install, customize, test, protect and train staff how to use your new network, ensuring it’s optimal performance for your business. Contact TEC today to start a conversation with a technology partner committed to your success.